Here at Horse Tack Now we investigate which Weymouth Bit are the best before adding them to our Online Horse Tack Store. We strive to offer only top quality products at low wholesale prices. Many of our horse tack products are on sale now. This Low Port Weymouth Bit is complimented by a Bradoon Snaffle. This Low Port Bit also measure 5 1/2'' shanks and 2 1/2'' rings on Bradoon. This item is also made of pure stainless steel which is very durable. 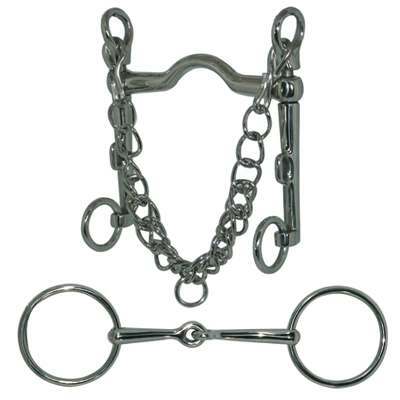 At Horse Tack Now, only the best Weymouth Horse Bits are offered at discount prices.